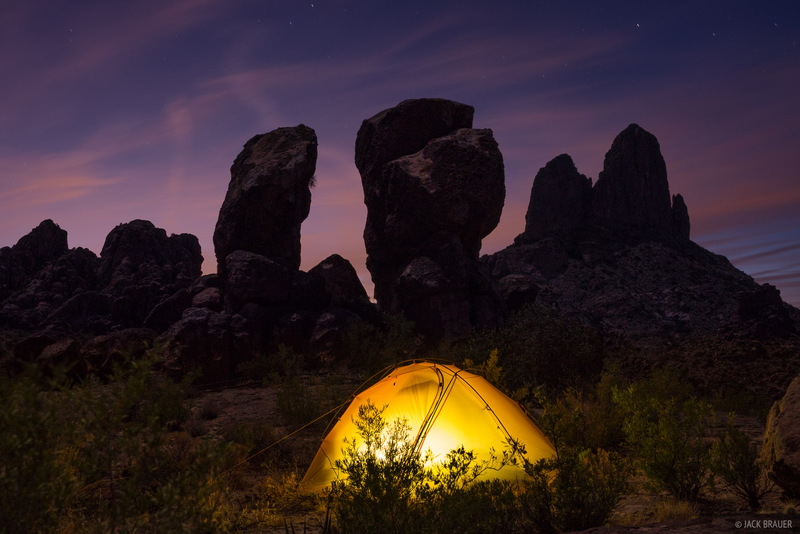 "Stonehenge" campsite surrounded by rocky pinnacles in the Superstition Wilderness. Though it looks kind of like sunset, the clouds are actually illuminated by the light of Phoenix. Photo © copyright by Jack Brauer.